On Saturday morning, my six-year-old son won’t race down to the living room at 5:00 a.m. to watch hours of cartoons like I did at his age. For one, the specialness of a dedicated time for cartoons and other entertaining children’s television is gone. Through our cable package, he can watch shows I watched as a kid and shows that I wish I had through channels like Sprout, Nickelodeon, Disney Junior, and even religious networks. PBS also offers ample quality kids programming during most of his awake hours. Second, he doesn’t have to sit in front of a television set to watch television programming. He can access YouTube, Amazon, Netflix, Hulu, and other streaming services on a tablet or phone from the backseat of my car or while waiting at the doctor’s office. Then, there are the apps and websites devoted to children’s programming. The point is that educational children’s content has grown exponentially over the past few decades thanks to technology. However, regulations governing kids' television programming has not kept pace. It’s time for Washington to take a look at the utility of broadcast regulations, reform what doesn’t work well, and scrap what no longer serves a purpose. So-called “Kid-Vid” regulations were first introduced in 1990 when Congress passed the Children’s Television Act. It required that broadcasters air education and informational programming for children. The Federal Communications Commission gradually defined Kid Vid to require that broadcaster’s air an average of 3 hours per week of educational and informational programming that is regularly scheduled, 30 minutes in length, and aired between 7 a.m. and 10 p.m. Kid Vid regulations are outdated and create more negative consequences than benefits. Kid-Vid killed short and infrequent programming. Who doesn’t remember “Conjunction Junction” or “I'm Just a Bill,” two popular short animated skits from the 1970s Schoolhouse Rocks series? “ABC Afterschool Specials” and the “CBS Schoolbreak Specials” which aired in the 1980s and 1990s were popular and acclaimed for tackling controversial or socially relevant issues of interest to children and teens from teen drug use and pregnancy to divorce and suicide. Even though popular, these programs did not meet the 30-minute and regularly-scheduled programming requirements. Broadcasters had no incentive to invest in such programming. You’ll find these programs living on YouTube now. The FCC’s plan to reform Kid Vid is needed now more than ever. The FCC proposes eliminating these length and frequency requirements to reinvigorate the creation of new children’s broadcast programming options. Imagine Schoolhouse Rock coming back, but updated for 2019. The mandated 7:00 a.m. to 10:00 p.m. time frame is primetime for programming but no longer makes sense as a regulation, given how much children’s TV habits have changed. While children are awake, they aren’t necessarily watching broadcast television. They are busy with school, extracurricular activities, and an abundance of programming alternatives as I noted above. Kid Vid pre-empted programming that is more appealing or valuable such as sports and local news. The FCC will explore whether a mandated time frame is needed at all. Finally, Kid Vid imposes costly and burdensome quarterly reporting requirements on broadcasters. A single television station may spend about three work days each quarter (25 hours) producing 40-50 pages of reporting that seldom gets reviewed. Those resources could be better spent producing programming instead of bogged down in paperwork. 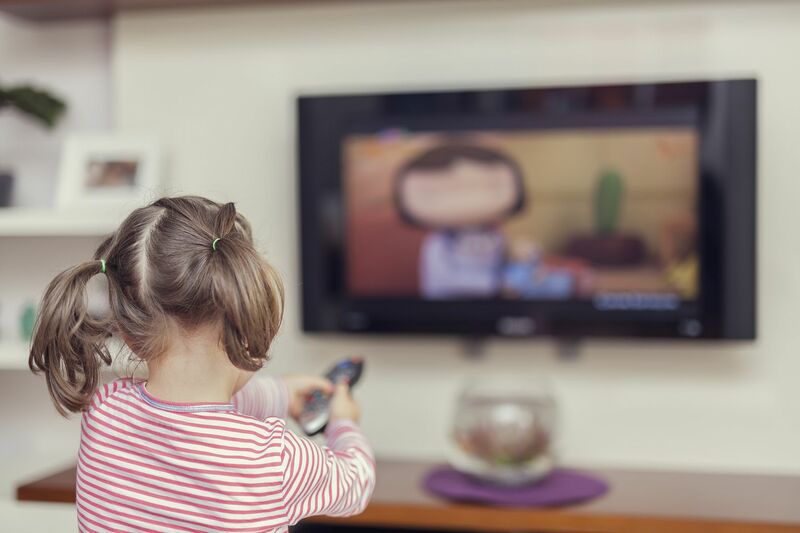 The FCC proposes streamlining children’s television reporting requirements including shifting to annual filings, instead of quarterly filings, to eliminate unnecessary or redundancies. There will be opposition to these common-sense reforms. While only an estimated 2.5 percent of households don’t have internet or cable, there are concerns that any reforms will hurt under-served families which rely on broadcast television for their educational children’s programming. Until there’s data to support this fear though, it remains an unfounded concern. The FCC may have a solution to this problem anyway. The FCC should do as much as it can to scale back Kid Vid regulations and reporting requirements. Giving broadcasters greater flexibility in airing children’s television program offerings may spur better programming that viewers of all ages want to see.